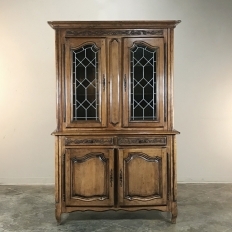 Perfect for the casual décor, antique Country French buffets from Europe reflect the styles that evolved in the many different regions making it a pleasure to look for and choose just the right one. Usually made from indigenous woods, antique buffets come in all shapes, sizes and styles, and are no longer just for the dining room. View our antique tables and other décor such as antique chandeliers to pull your dining room together.